The film “Dodgeball: A True Underdog Story (+ Digital Copy)” on DVD, US version. The film is available on this DVD in English and Spanish. 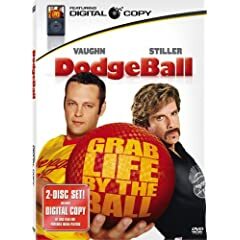 This version of “Dodgeball: A True Underdog Story (+ Digital Copy) (US Version)” was released in 2008. Le film “Dodgeball: A True Underdog Story (+ Digital Copy)” en DVD, version US. Le film est disponible en Anglais et Espagnol sur ce DVD. Cette version de “Dodgeball: A True Underdog Story (+ Digital Copy) (US Version)” est sorti en 2008.